Diana runs the style and lifestyle blog The Chic Diary, which serves as a creative outlet for her to express her personal aesthetics, values, and style, and as an inspiration point for others seeking outfit styling ideas. April 24th, 2018 marks a special life milestone for me. It marks the day I make it known that I’m starting my conscious fashion journey with the launch of my new Consciously Chic blog series. In collaboration with Remake, I’m going to tell you my story on how I learned of and made the switch to slow fashion, and why I’m pledging to shop and live more sustainably, ethically, and responsibly. 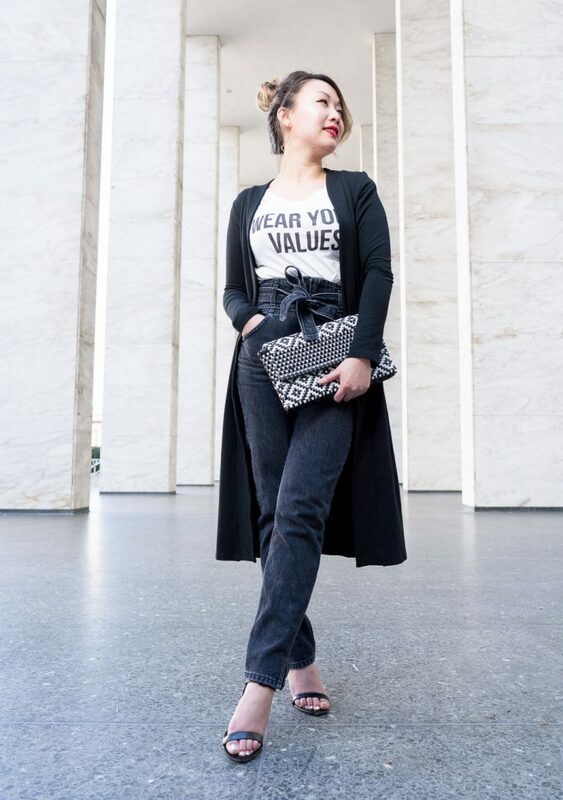 Through the film, I hope I can help illustrate what it means to wear your values. I’d love for you to join me on this journey! Before, fashion to me was about wearing the latest trends, building my personal style, and finding pieces that made me feel confident. I used to love fast-fashion powerhouses, like Zara & H&M, that were able to quickly bring in new clothing designs onto their site and retail shelves in a matter of weeks. In fact, Zara was my all-time favorite fashion brand for their stylish yet affordable pieces. But I started asking myself questions that made me rethink fashion. Questions like, Who made my clothes? and What are their lives like? It started a few months ago, back in November of 2017, when my friend Thy from Thy.Time invited me to a brunch hosted by Remake. There, I met the founder and social entrepreneur, Ayesha Barenblat. 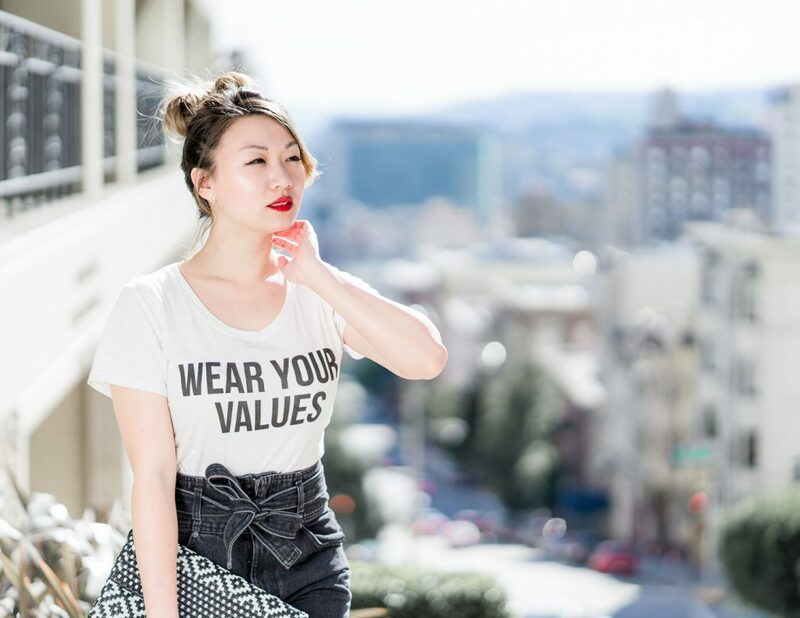 Her passion is to promote a more sustainable fashion industry and to spark a conscious movement by connecting people through stories to the women who make our clothes. Through Ayesha, I learned about the differences between fast fashion and slow, sustainable fashion. Fast fashion is about mass-producing a high volume of clothing quickly to keep up with the latest trends, but often at the cost of the environment and the garment workers involved. Fast fashion pieces tend to be cheap, but also fall apart easily and quickly get thrown away. Shockingly, in 2014, 10.46 million tons of textile waste ended up in landfills in the US alone (Source: The Balance. Dec. 29th, 2017). We then feel the need to replace or buy more clothing, and the cycle continues. Slow fashion is about embracing the ‘fewer, better’ philosophy of buying less but better-quality clothing. It means making conscious choices that positively impact people and our planet. After the brunch, I started to question and look deeper into what it meant for a brand to be ethical in how they treat their garment workers and sustainable in how they impact the environment. The initial facts I learned were startling and alarming. Did you know that it takes up to 2,700 liters of water to produce one t-shirt? That’s how much we normally drink in 2.5 years! At first, I didn’t think learning about how fashion is the 5th largest polluting industry in the world would impact my shopping habits and lifestyle all that much. Given that the most accessible in-store brands at shopping malls are fast fashion brands like H&M and Zara, I asked myself, how would it even be possible to switch to slow fashion? It just seemed too big of a lifestyle change and not easily accessible at all. But in the weeks following that brunch, I found that I couldn’t turn a blind eye to what I now knew. My thoughts jumped back to the women who made these clothes, what their lives must be like, what their goals and dreams were. So I started researching more about the slow fashion movement and the brands involved, to be informed and to start making better choices. I also started putting together a sustainable brand directory that I can refer to when I wanted to shop. 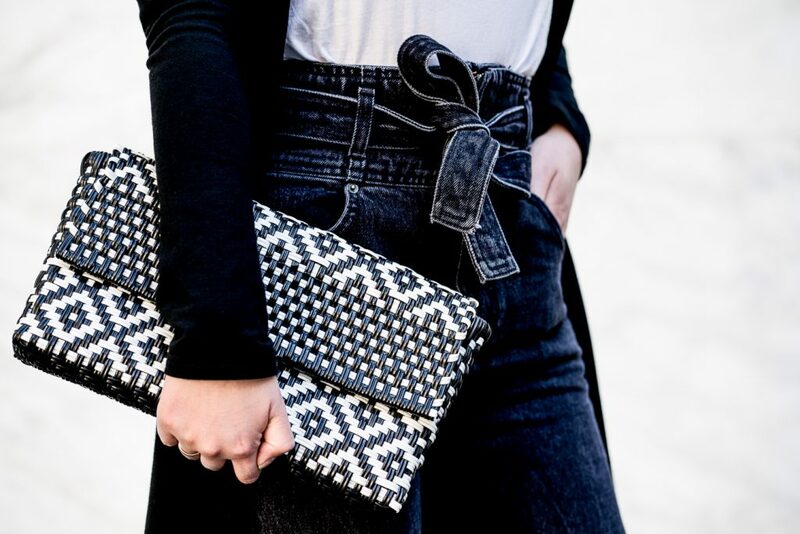 Through this process, I fell in love with so many of the conscious brands I discovered – not only with their stylish pieces but also with their mission to do good. For those who are interested in switching to slow fashion, I hope you will continue to be curious and educate yourself to become more aware. Going forward, I’ll continue to add resources and content to my new Consciously Chic series, sharing guides on how to remake a more sustainable wardrobe and information on conscious brands with missions to do good. Please check in from time to time, or subscribe to stay up-to-date. Note: A * next to the brand name indicates that it is a conscious brand. Check out Remake’s latest style edit as well for more outfit inspiration! Disclaimer: This post was in collaboration with Remake. All opinions are my own.